Everyone’s favorite folk-rock poet Frank Turner is already working on a follow up to 2013’s Tape Deck Heart. Despite releasing and touring to promote the release of a record with side project Mongol Horde, Turner seems optimistic about a February 2015 release date for his new album. What can fans expect from the new album? In a new interview with Gigwise, Turner revealed that it’s more upbeat than his last album. I run a music blog. I’m practically obligated to write an end of the year list. 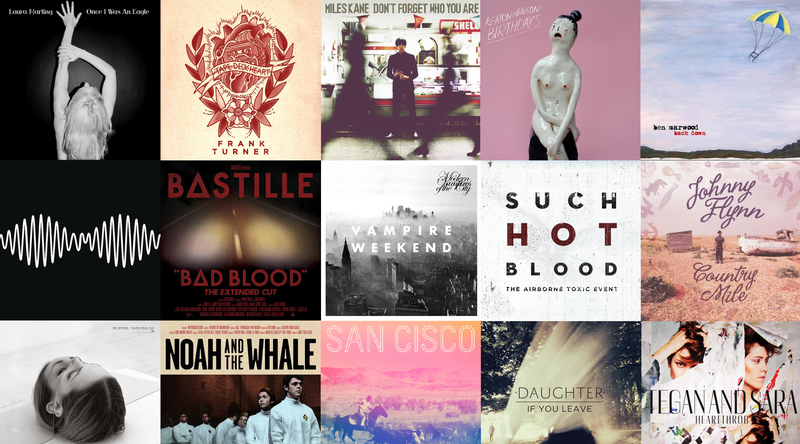 So here’s my top 15 albums of 2013. You can also listen to a playlist of some of my favorite songs from 2013 (including tracks from artists who didn’t make this list) over on spotify. Its hard to believe the Quin sisters have been in the business for almost twenty years. Every album they put out has a completely different style and sound from the one before it, while still managing to stay true to their core values. For their latest album Tegan and Sara tackle a more synth and pop based sound, toning down the guitars and turning up the keyboards. Some might criticize the duo for selling out, but then they would be missing the whole point. It’s an evolution in sound but not a complete departure; an important distinction. It might be a surprising path for them to have taken, but its certainly not a bad one. Truly, one of the most poignant and beautiful albums to come out in 2013. Elena Tonra’s voice is stunning, and its striking to have her voice framed by a backing band, unlike her previous releases. There was a song she had previously released on an EP that was rereleased on this album that came out at a time when I was really struggling with the death of someone close to me. Now I can’t listen to the song “Youth” without thinking of her. The album is dark at times, yet enchantingly so. Its an impressive debut album, especially when you consider the fact that most of the band members are barely out of high school. Some of the melodies are childish but manage to be completely infectious at the same time. Where the album shines most, however, is in pure potential. Combine pure talent with brilliant live sets and its plain that this young band is only going to continue to improve. If you haven’t already heard of the band, look up their song “Awkward”. After you stop cursing me in a week for getting it stuck in your hear, you’ll thank me. I promise. Noah and the Whale have always been one of those bands that are at their best for their live performances. So deciding to record their fourth album live was a natural decision for the band and it certainly paid off. The album is fuller, more vibrant than their previous albums, giving it a more mature sound. Its a more honest and personal album for Fink and for that reason it resonates more deeply with listeners. Many tracks are backed by a lush orchestra in addition to Hobden’s fiddle, creating a sweeping sound that one can perfectly imagine as the soundtrack to a movie (which in fact, it is). A couple of the albums on this list have been recorded live (both Laura Marling and Noah and the Whale have chosen the technique in their latest records), but Johnny Flynn has taken the idea to a different level. Not only are most of the tracks recorded live, but the “final” versions that have made it onto the album are often demos. The rougher and more organic sound to the tracks certainly suits Flynn, who looks at home in a rustic sweater and a guitar in his hands. His lyrics are quaint with the occasional archaic turn of phrase (he is a Shakespearean actor after all). The most compelling track on the album, “Einstein’s Idea” is a lullaby written for Flynn’s two year old son. The lyrics might be a little dense for a two year old, fancy trying to explain the Theory of Relativity to a two year old, but one can easily picture Flynn singing it to his son with its hushed words and muted chords. 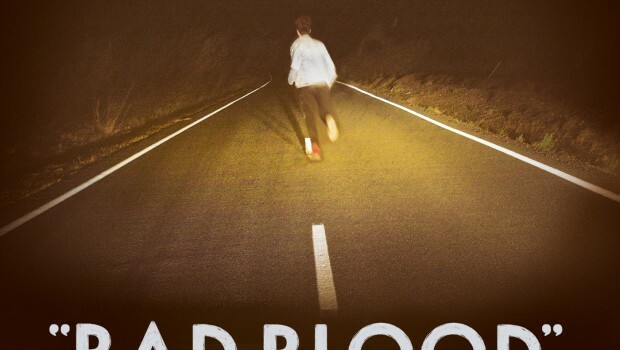 Although The Airborne Toxic Event may have largely ditched the orchestral sound in favor of a more pop rock sound, Such Hot Blood manages to be just as catch as the band’s previous two albums. The common themes of the album are familiar as well; love and loss. “Timeless” is a heartfelt anthem that anyone who has ever lost someone close to them can instantly relate to. “Just help me through this moment / after everything I told you / how the weight of their loss is like the weight of the sun / I see their faces near me / I hear their voices calling / it was like their lives were over before they begun” Jollett sings in the bridge. The words have the potential to be cheesy and cliché, but Jollett delivers them with such passion and conviction that one immediately senses the truth in them. “True Love” features a mandolin as the driving instrument, lending a quirky sound to the track. And the tongue in cheek “Elizabeth” provides the perfect ending to the album. I’d always been a casual Vampire Weekend fan; I knew the hit songs and I loved their unique music videos, but I never listened to an album start to finish. MVOTC was their first album I really fell in love with. It has a more mature sound than their older stuff, though the lighthearted silliness hasn’t been abandoned either. The album plays around with various sounding styles as well as recording techniques. The first single, “Diane Young” was a perfect representation of what the rest of the album would be like. Sometimes an album comes along that sounds fantastic recorded, but I hesitate because I wonder how well that sound will translate live. In the case of Bastille, the answer was that they just might sound better live. Group backing vocals help to make the songs sound epic and lush. Though their song Pompeii might have been overplayed on the radio (one of the reasons I am not sorry that I don’t listen to the radio), they have plenty of other songs that are just as good. 2013 will forever be known as the year I finally started listening to the Arctic Monkeys. And believe me, I’ve been kicking myself ever since. AM might just be their best album yet. Its smoother, bolder, and more mature sounding. The band experiments a little with an edgier, hip hop influenced sound that is most obvious on songs like “Why’d You Only Call Me When You’re High?”. Turner’s vocals are clearer then ever, with none of the raspyness of previous albums. 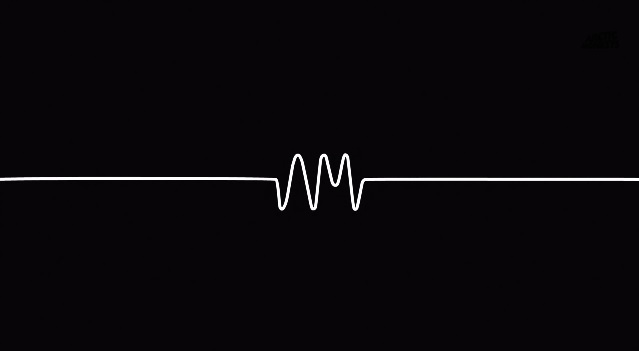 The best song on the album is actually a throwback from Record Day 2012; R U Mine?. The album delivers hit after hit without a single weeks spot. Looking back at their past albums its amazing to see how far a band of teenagers from Sheffield have come. Even their B-sides wouldn’t sound amiss on the actual album itself and the band has released three paired with three singles off of AM. 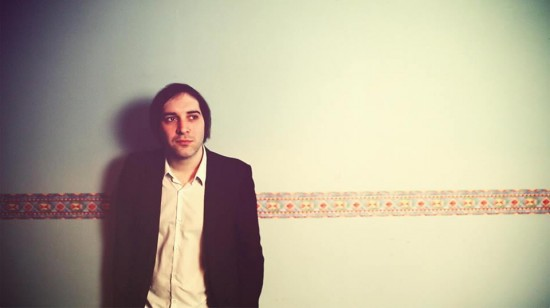 Armed with just an acoustic guitar and a passionate voice, Ben Marwood has often been compared to label mate Frank Turner. I don’t really think that’s a fair comparison, though I love both artists greatly. Ben’s sound is simple; with no backing band (at least at this point in time), its just him and his guitar. But that’s all he needs to draw you in. 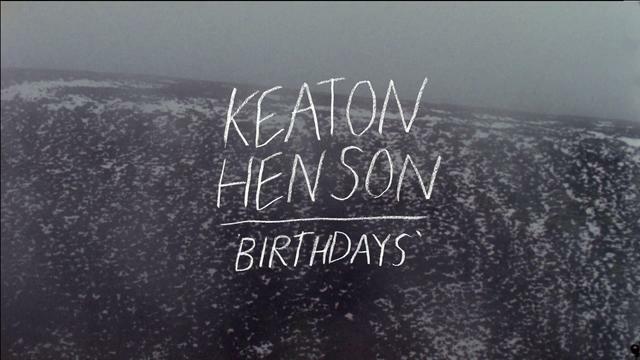 His songs are brutally honest at times, to the point where he acknowledges his flaws unflinchingly. “I’m past the cusp of thirty and I swear I’m getting fatter by the day” he sings on the cynical track “This Industry Eats Its Young.” But there’s a measure of hope in his songs as well. He’s a man who loves what he does, though it might not be the most profitable profession, and that shows. “If I had a point I don’t know what it was / some days I stand on stage for little reason but because / and though I’ve wasted days you know I won’t take back these nights,” he sings on “We Are No Longer Twenty-Five”. There’s just something about this album that draws a listener in. At first, I was quick to dismiss the album as being too mellow, but the more I listened the more I came to appreciate it. Its true most of the songs are just Henson and his guitar, but the tracks build in intensity, culminating in the heavy double punch of “Kronos” and “Beekeeper.” Most of the lyrics are utterly heartbreaking and are delivered with obvious passion and conviction. The melodies are hauntingly melancholic but beautiful at the same time. One listen and it wouldn’t surprise anyone to learn that Henson is a poet who gets so nervous about performing live that he rarely does so; only playing in small venues and museums from time to time. Don’t Forget Who You Are is the album that you put on before you go out on a Friday night. Its catchy riffs and upbeat rhythm at time mask darker lyrics, and its only on closer inspection that one would notice the melancholy that threads through various tracks on the album. The overall theme of the album is about being proud of where you’ve come from and never forgetting that; no matter where that might be. Miles has been a member in several successful bands over the years: the Little Flames, The Rascals, and, most famously, the Last Shadow Puppets. But its only as a solo artist that he’s really made a sound of his own and started to realize his full potential. Although his debut album might be considered by some to be his better technical work, Don’t Forget Who You Are is a better representation of his character. Its a very empowering album. There are some artists who just keep getting better and better. With every album they release you think to yourself, “this is it. They can’t possible top this.” And then they do. 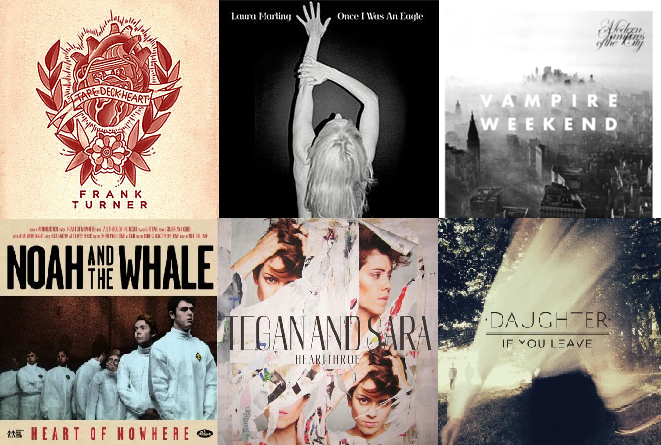 Frank Turner is one of these artists. Since going solo in 2005 every single record he’s put out has been fantastic, but 2011’s England Keep My Bones was his crowning achievement to that date. I didn’t think it was possible for him to put out a better album. And then Tape Deck Heart was released. I think I’ve said just about all I can say about the album throughout the course of the year, but Tape Deck Heart really is his best album yet. It’s raw and honest and has passion pouring from every note and chord. The slow songs (“Tell Tale Signs” and “Anymore”) will break your heart, but the punk anthems of “Four Simple Words” and “We Shall Not Overcome” will have you dancing around the room belting out the words. Its a typical Frank Turner album that delicately balances highs and lows with both wit and precision. His lyrical ability is at the top of his game as well; look up the lyrics for “Broken Piano” if you have the time (I’d paste it here but there’s not room for me to paste the entire song). At this point in her career I’m convinced that Laura Marling can do no wrong. For her fourth studio album Marling has ditched her backing band and once more struck out solo. The resulting masterpiece is easily her best work yet and once again affirms her stunning talent. The album is roughly divided up into two parts, separated by the instrumental track named, simply, “Interlude”. The first half is notably darker, and most of it is taken over by the “medley”: four tracks that Marling wrote and polished separately but eventually weaved into what basically amounts to one long song. The tracks are separate songs, however, and are titled individual. Marling often plays the tracks live and individually as well. The dark and haunting first half of the album is perfectly balanced by the second half which is cautiously optimistic. Some fans might wish for a return to her earlier music, but Marling has clearly matured since she released her debut album just six years ago at the age of eighteen. Having recently left England to live in LA, one can only imagine what Marling will do next. I, for one, can’t wait to see. It’s hard to believe the year is already half over. So much new music has been released already, and much more is yet to come, and it is to my chagrin that I realize how little of it I have listened to thus far. I’ve stuck with my favorite artists and bands for the most part, though a few new ones have snuck in. Most of the albums that made my top list for the midyear roundup won’t surprise anyone who knows me well, though there are some new favorites on here as well. When I asked Vas to contribute to this article, I knew without asking that Frank Turner would be on both our lists. 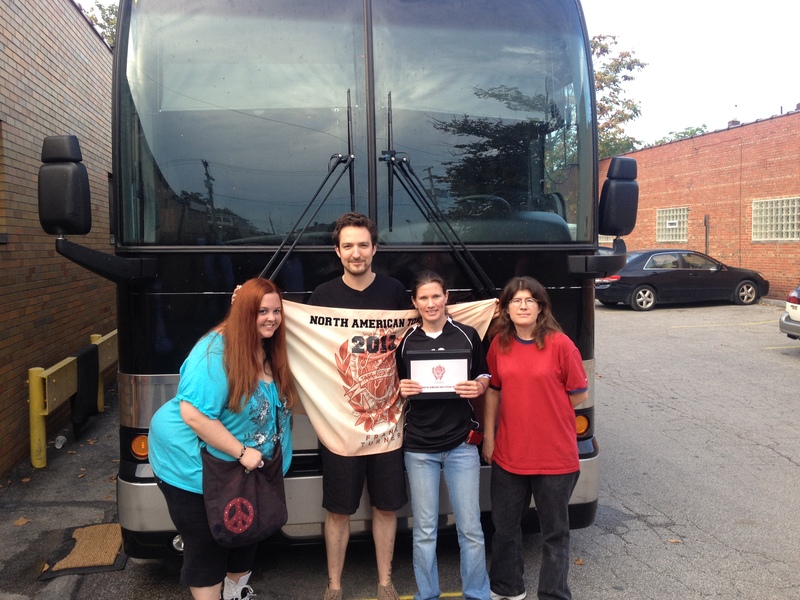 Vas is the one who introduced me to Frank Turner in the first place, and once I started listening to him I fell in love. Frank Turner’s newest release, Tape Deck Heart, is an amazing album and in my opinion, his finest work to date (though that’s saying something since all his work is solid). 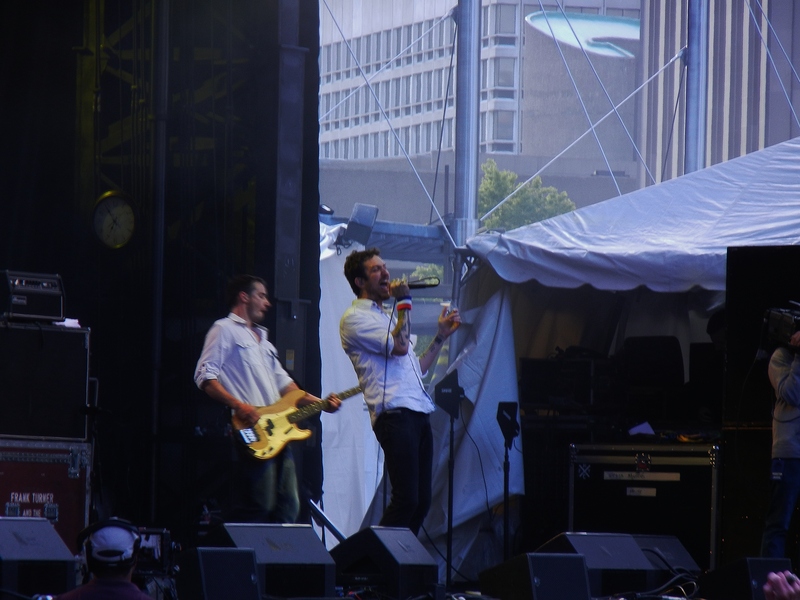 Frank Turner might have started out as a solo artist, but his backing band has solidified over the years to become the Sleeping Souls (the name of the band itself is drawn from the lyrics of one of Frank’s songs, “I Am Disappeared”). Despite the presence of the Sleeping Souls on Frank’s last album, Tape Deck Heart is the first album that sounds like it was written and developed as a full band. Its sound is fuller and more solid then on previous albums, where the backing band was more of an afterthought. One might say that Tape Deck Heart is a breakup album, something that Frank has been honest about all along. Track after track presents an emotional slap to the face. It’s raw, it’s honest and it’s unapologetic. Perhaps that’s what makes it so utterly relatable. Anyone who’s ever had a relationship go bad can relate to Turner’s lyrics, whether that relationship was romantic or not. “Goddamn it Amy / well of course I’ve changed / with all the things I’ve done and the places I’ve been / I’d be a machine if I had stayed the same. / You’re still back where we started / you haven’t changed at all” he sings on the devastatingly raw “Tell Tale Signs.” Some criticize the album for being too melancholic, and lacking the hope and uplifting spirit of previous albums but the hope is still there if you look hard enough. In what quickly became one of my favorite tracks, “Polaroid Picture”, he reminds us that “everything changes” so we should“let go of the little distractions / hold close to the ones that you love.” It’s a simple concept but one that so many of us forget each day. It’s been three years since Vampire Weekend released their hit album Contra. 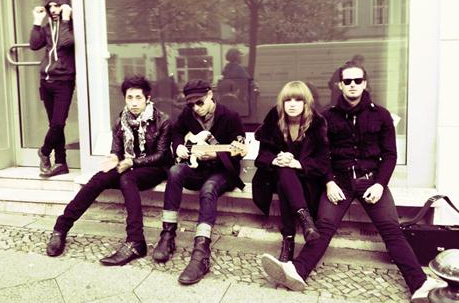 They began working on their next record in 2011 but the release date kept getting pushed back on the band until it was finally released in May 2013. The album experiments with auto tune on several tracks, most noticeably “Diane Young” and “Ya Hey.” I personally don’t understand the appeal that playing around with auto tune can have for artist, but as long as the auto tune is used creatively and not as a crutch for poor vocal performances I don’t really have a problem with it. “Unbelievers” sounds like a throwback to their earlier albums while still maintaining a more polished sound. It’s the perfect summer album. My advice to anyone who hasn’t listened to it yet is this. Go for a drive on a warm day, roll the window down and crank the volume. Ezra’s vocals shine through on the slower songs and the faster songs are guaranteed to put you in great mood as you dance along unconsciously. There’s not much that I can add about Laura Marling’s latest album that I haven’t already said in my review last month. Marling’s talent is undeniable and her latest album is nothing short of a masterpiece. She’s been compared from everyone to Dylan to Joni Mitchell and yet she crafts a sound that is uniquely her own all the same. Once I Was an Eagle might be her darkest album yet, but there’s hope in it all the same. It shows a level of growth and artistry that builds on her previous albums. I still find it hard to express why I love this album so much. It’s a flawless album from beginning to end and the sheer mastery of its execution baffles and delights me. I continue to be blown away by the sheer amount of talent and work ethic Marling possesses. Heart of Nowhere – Noah and the Whale. I haven’t had as much of a chance to listen to this as I would have liked, but just a few listens in I already love it. The violin parts, performed by Tom Hobden, have long been one of my favorite highlights of a Noah and a Whale record, and this remains true with this album. Heartthrob – Tegan and Sara. I’m still amazed that Tegan and Sara are seven records into their careers and with every new release they give us something completely different. It’s not so much that they reinvent themselves, rather its more like they aren’t content to stay in one easily defined label. Their latest record is heavily pop based with a throwback feel to it. 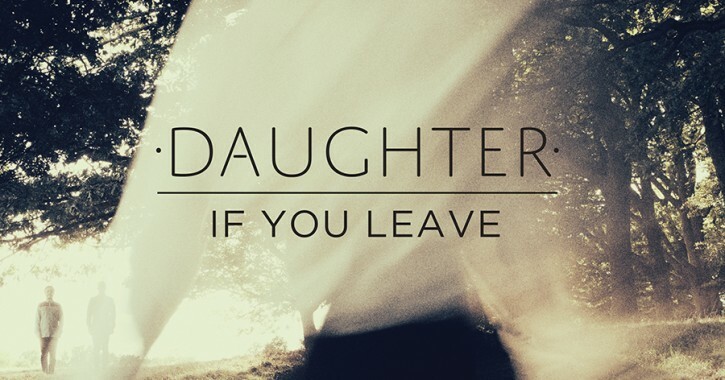 If You Leave – Daughter. Elena Tonra creates hauntingly beautiful yet simple melodies. Her debut album features a few songs from her earlier EPs but most of the tracks are brand new. Its a solid debut album.